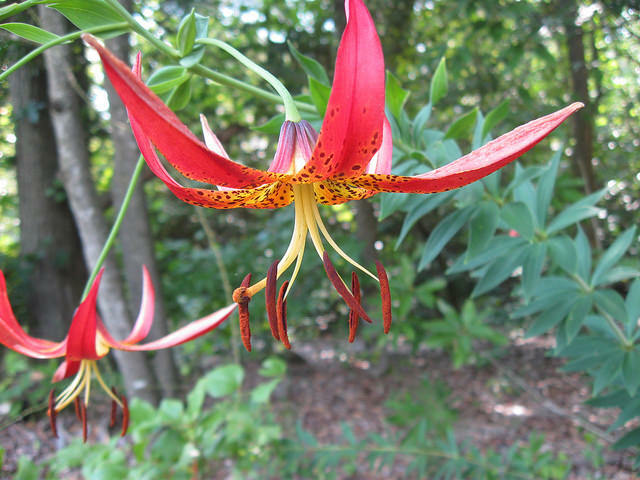 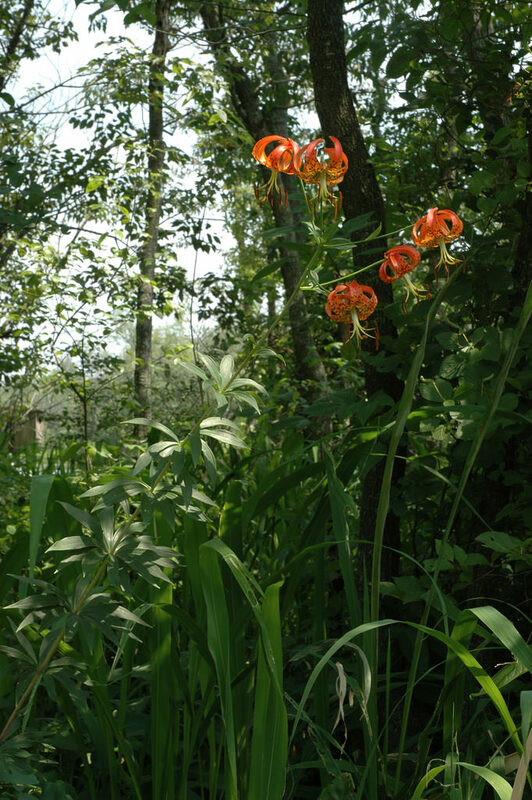 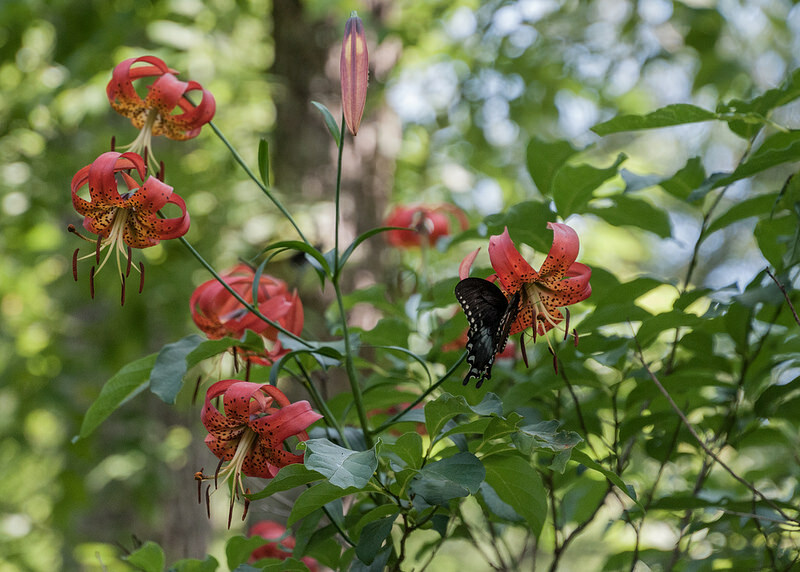 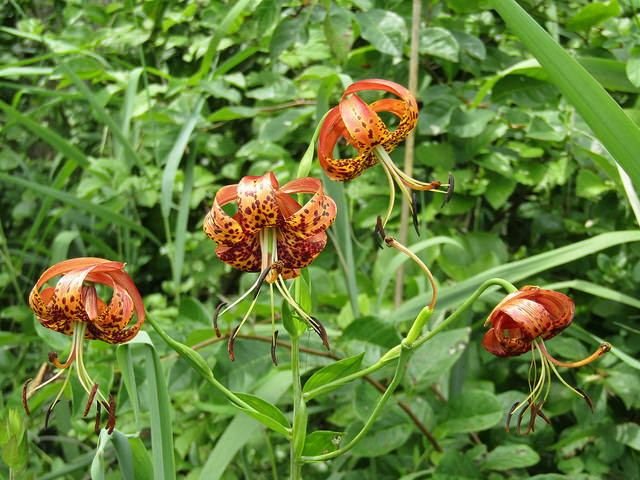 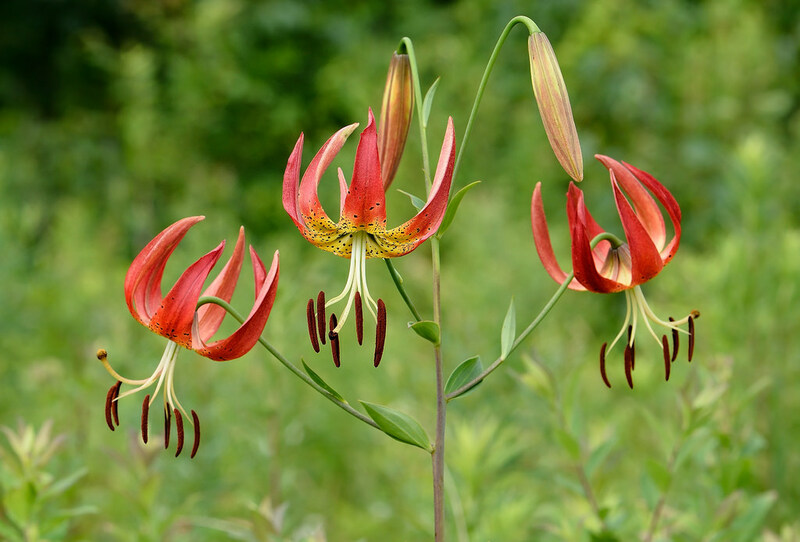 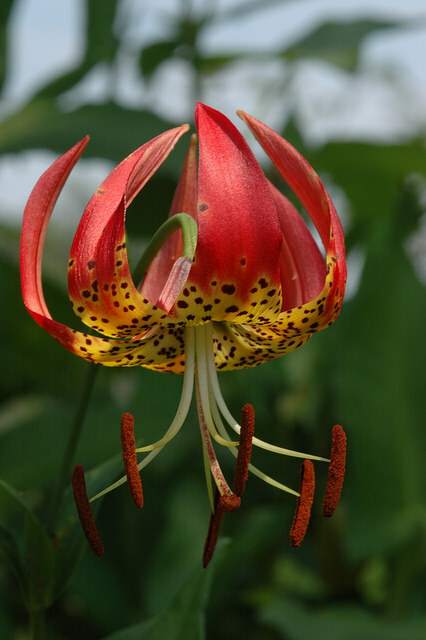 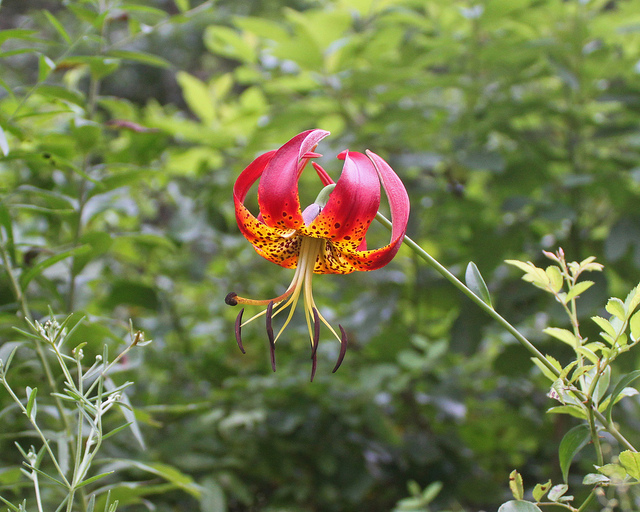 Turk's-cap Lily is native to eastern North America. 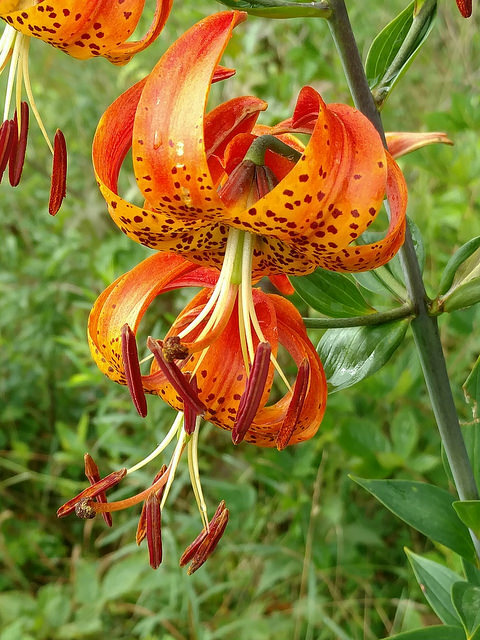 Look for it in wet meadows and along streams, especially in the mountains and the Eastern Shore, in our region (J. Hill/MNPS). 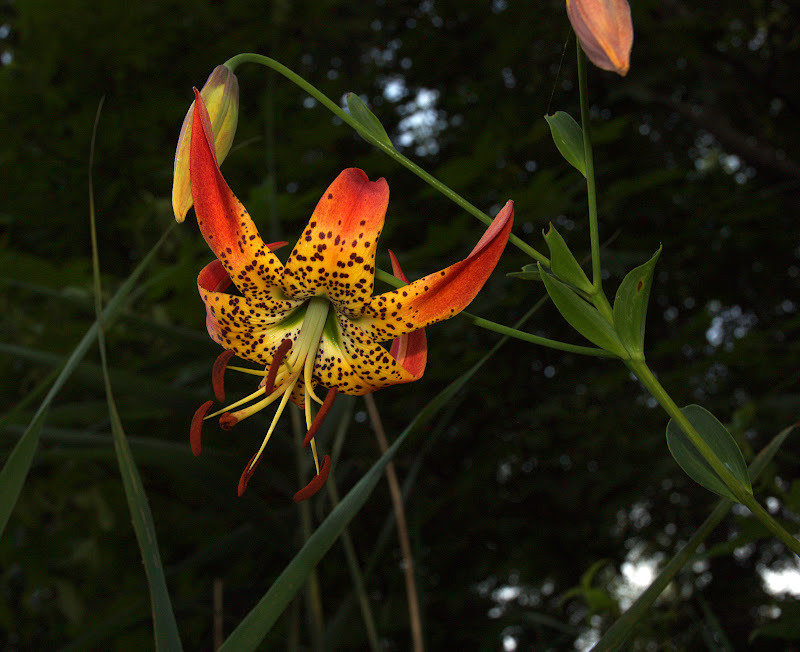 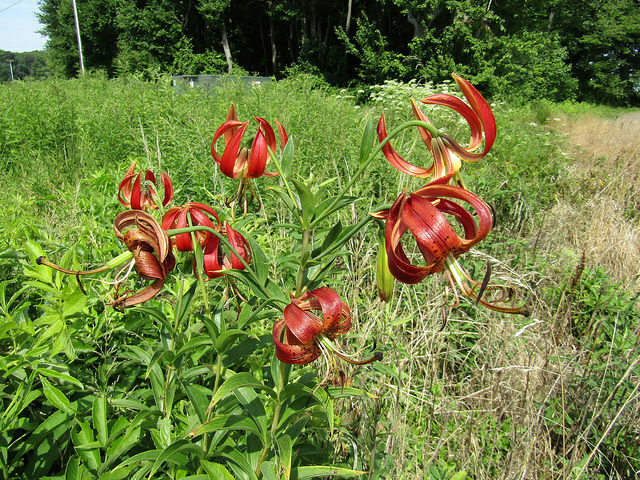 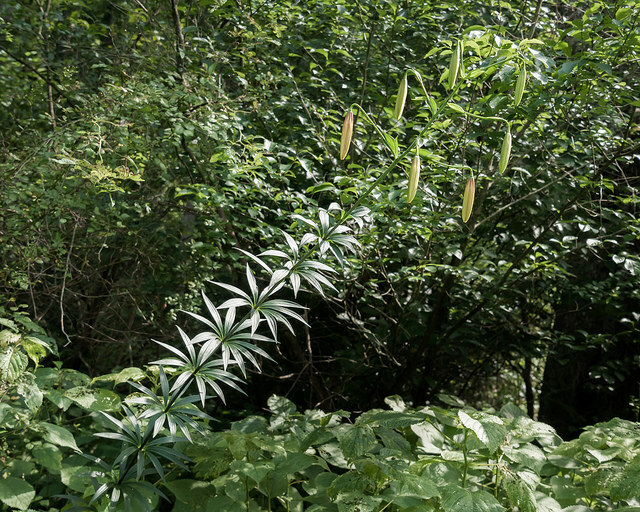 The tallest and most spectacular of the American lilies, generally reaching 4-6'. 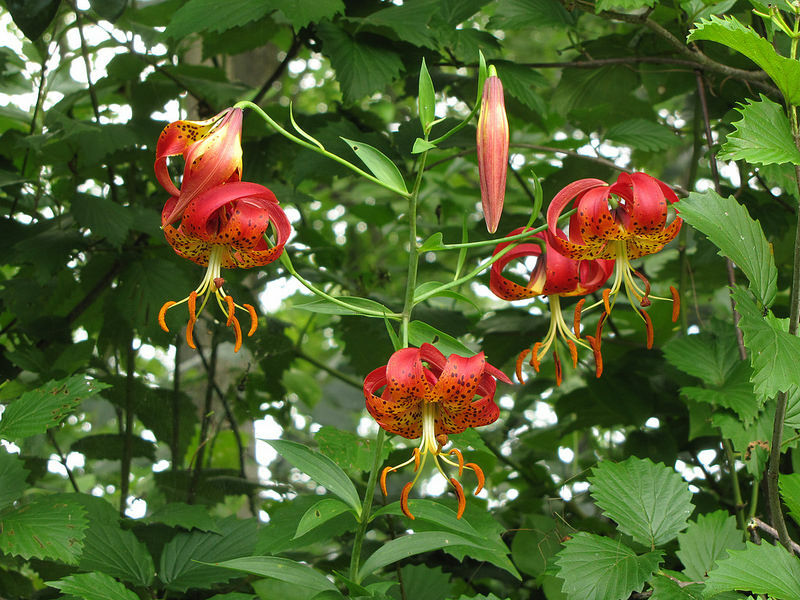 The sepals and petals are strongly swept back (reflexed). 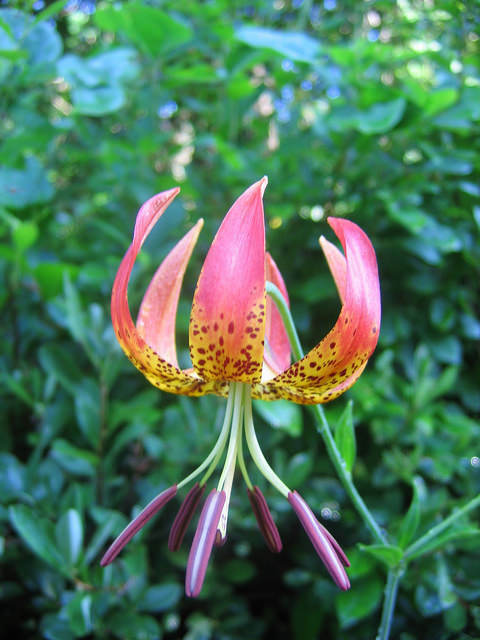 The petals are spotted with purple. 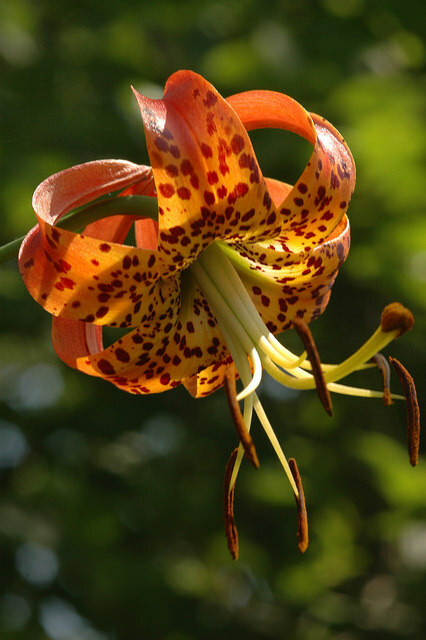 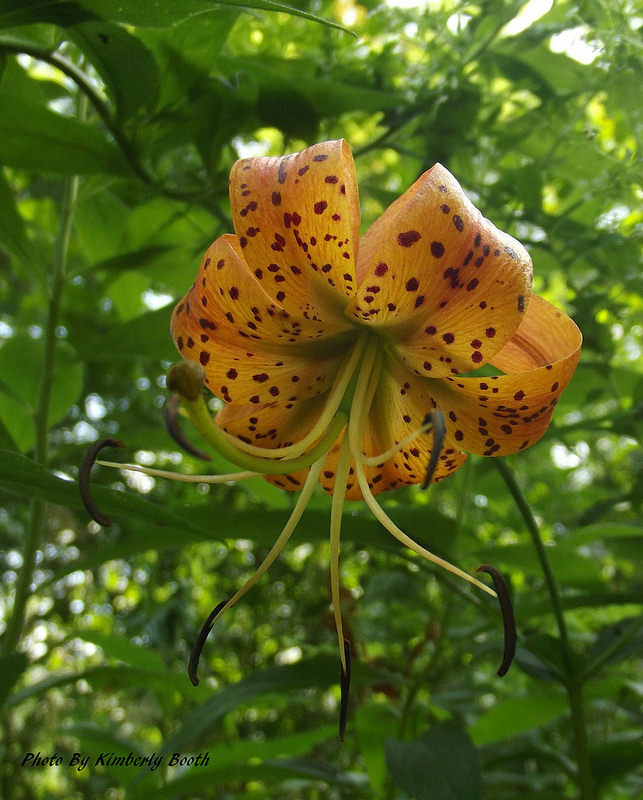 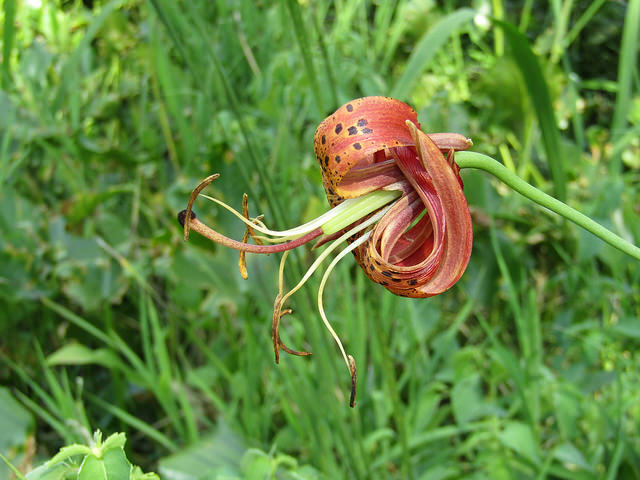 Inside the flower, green streaks at the base of each petal form a central star, which distinguishes this species from escaped, cultivated, Asiatic "tigerlilies." 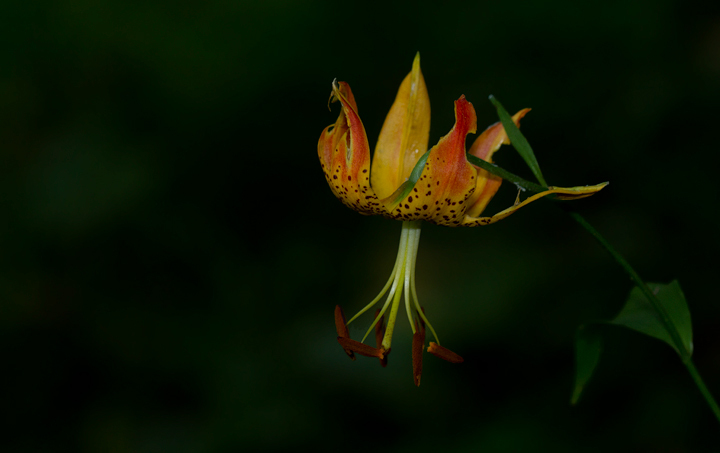 The stamens of Turk's-cap project from the flower, and the anthers are long, dark, and conspicuous. 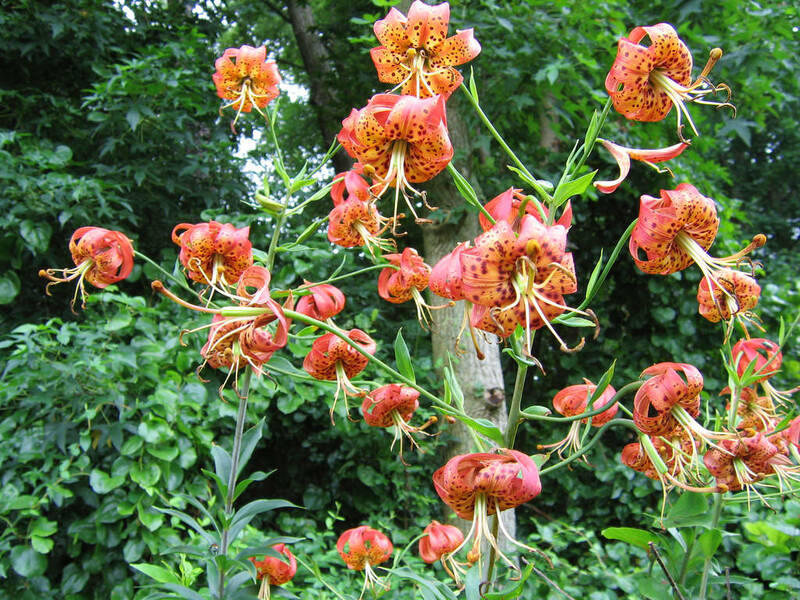 The flowers are arranged in a loose inflorescence atop an upright stem. 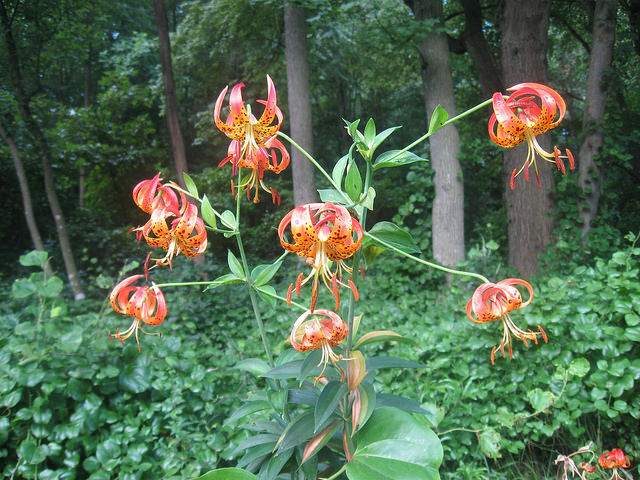 They bloom early to mid-summer. 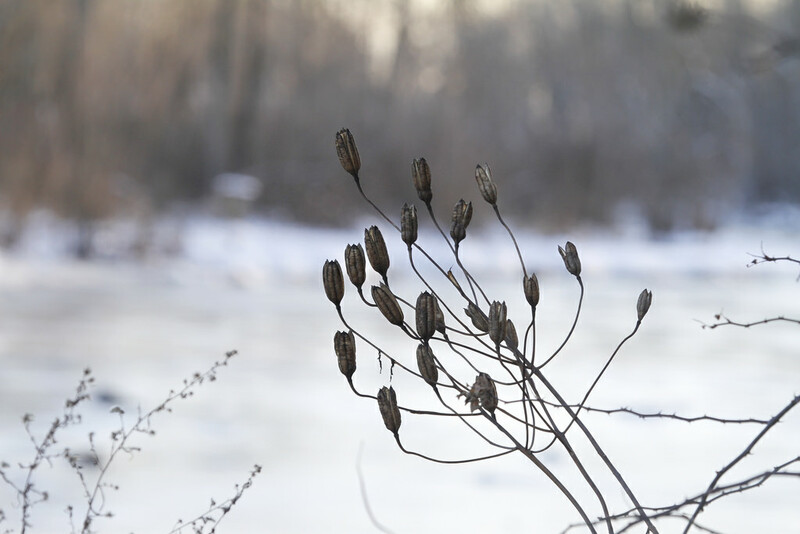 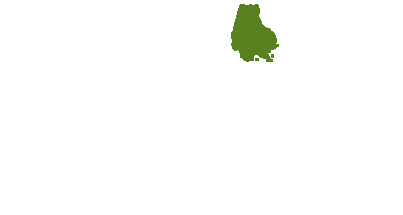 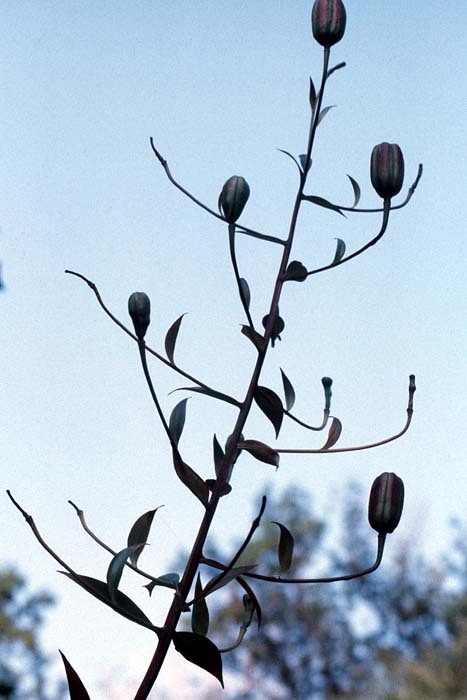 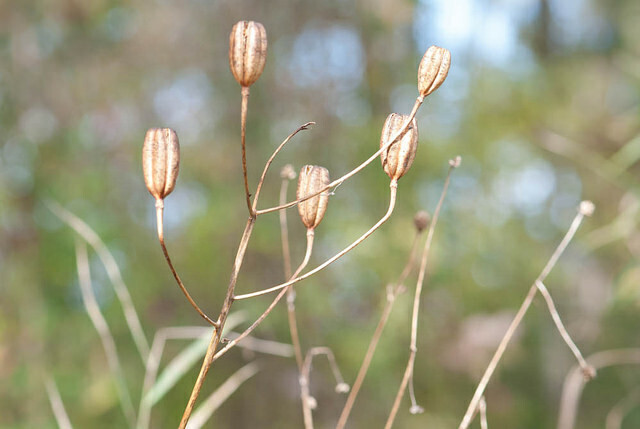 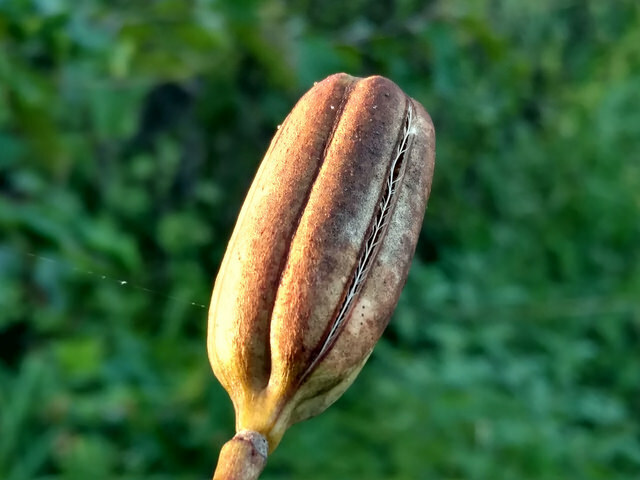 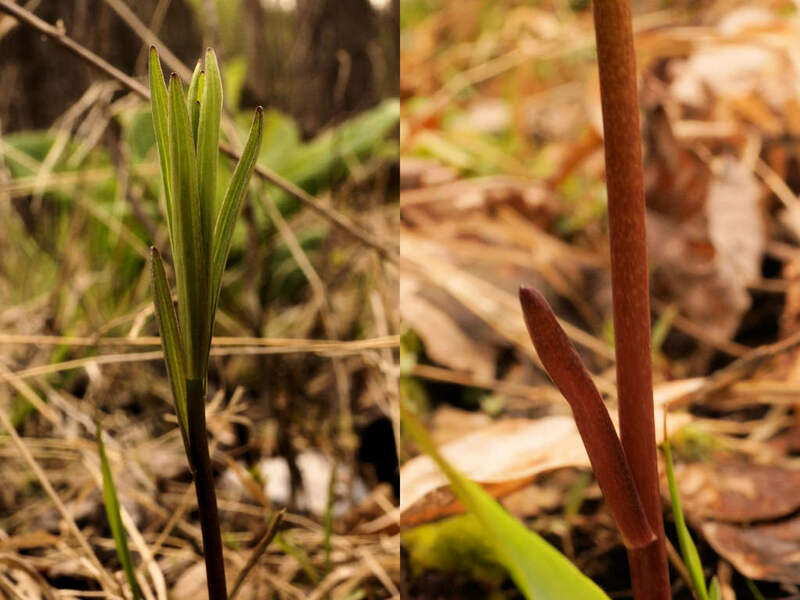 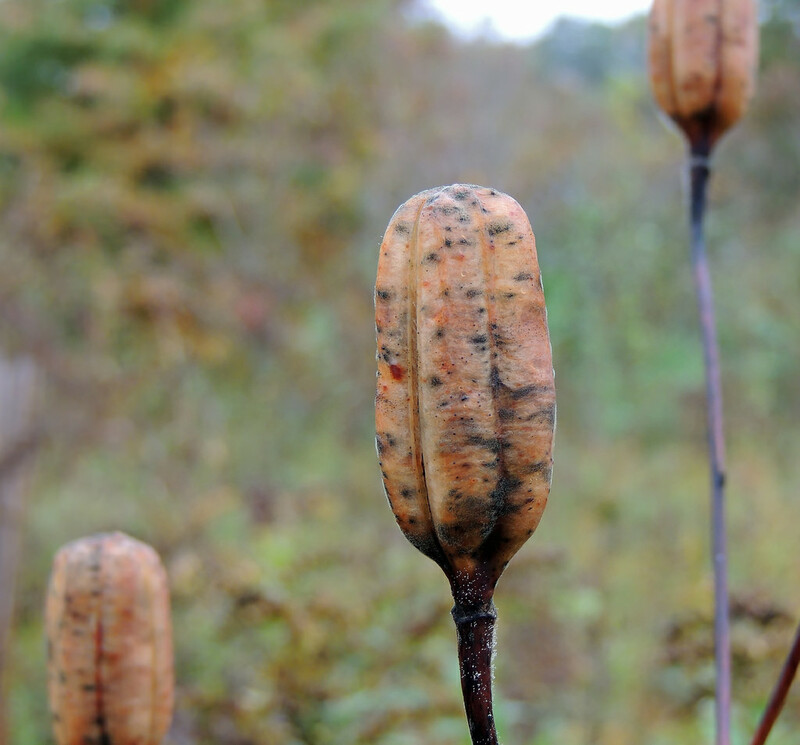 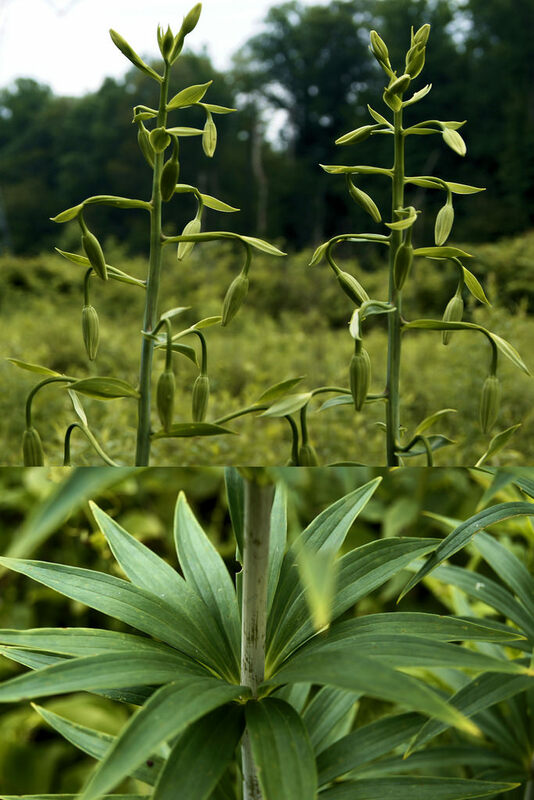 The leaves are arranged in whorls around the stem (J. Hill/MNPS). 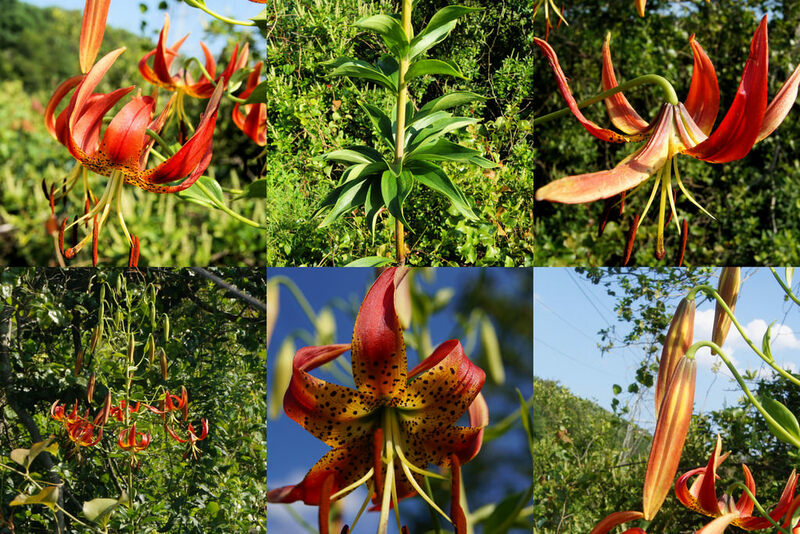 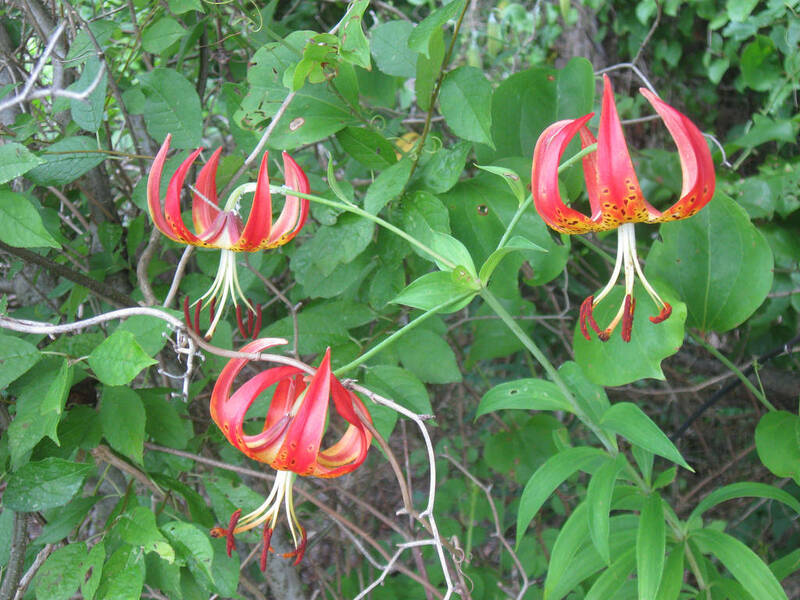 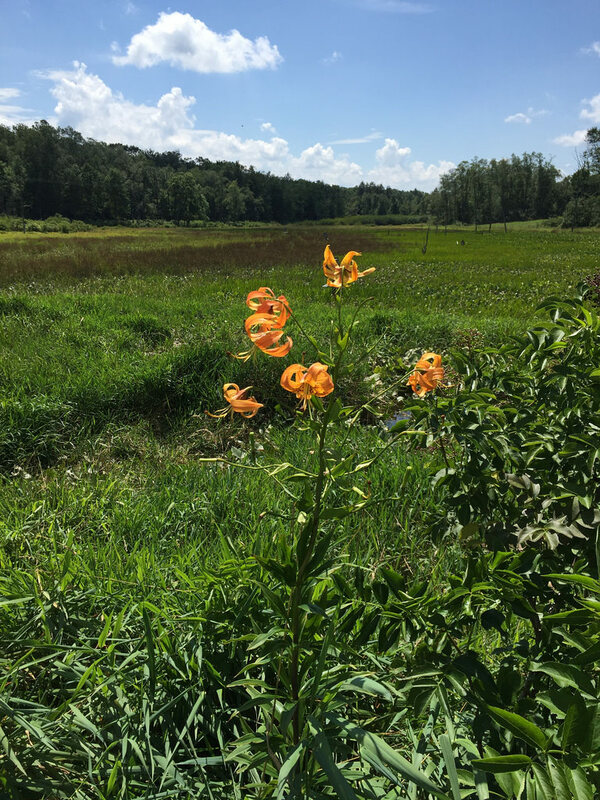 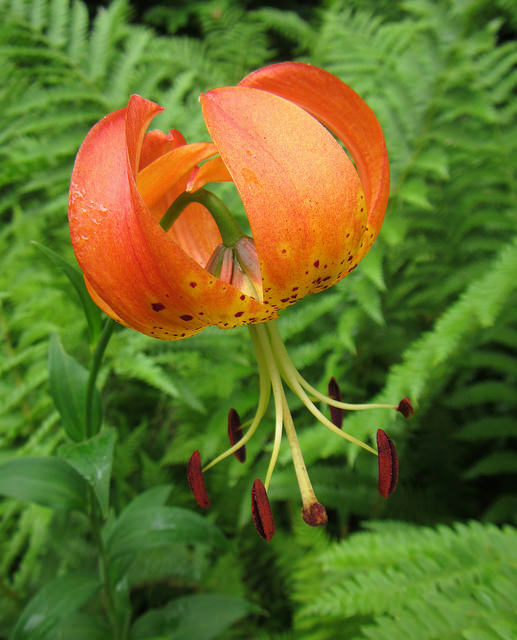 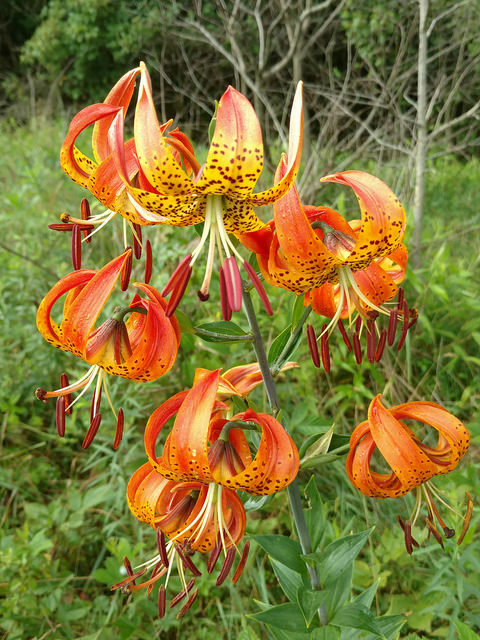 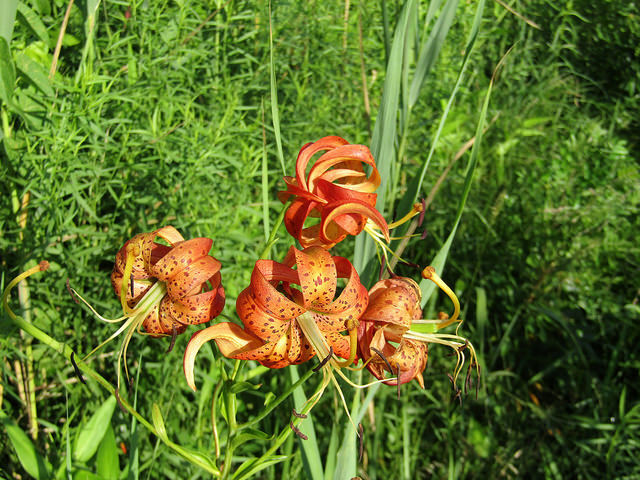 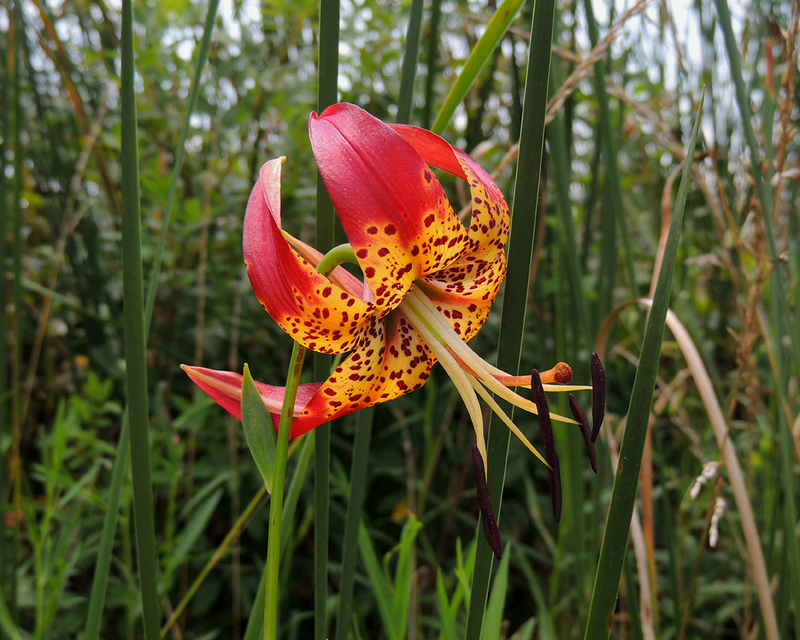 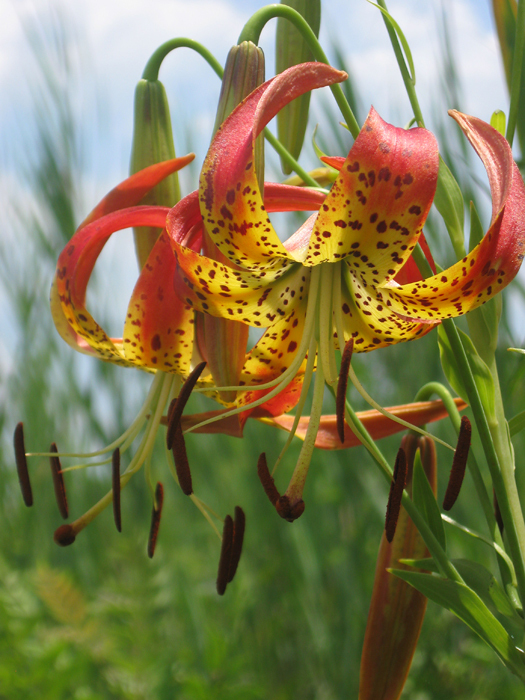 Compare non-native Tiger Lily.